We were able to take some pictures of this 2018 Zydeco that just arrived a day ago and is being picked up by a customer soon. 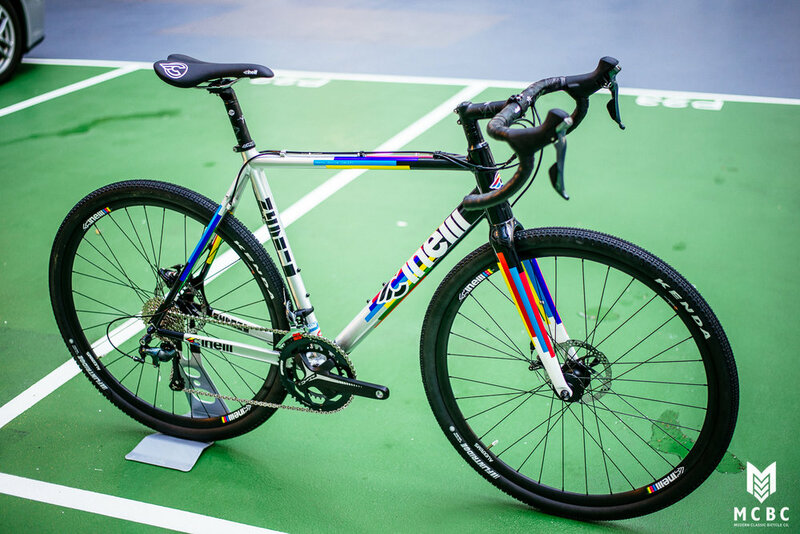 The Zydeco is Cinelli's aluminium gravel / adventure bike which has a touring geometry buy also feature disc brakes and wide tyre clearance (up to 42mm) for off toad riding. The modest Tiagra 10 speed groupset features a compact crankset and 11-32 cassettes which means this bike can conquer your local hills with no problem.